Independent living in a Retirement Village or Lifestyle Resort is a great way to downsize and give you more time to focus on enjoying your retirement. Retirement Villages are not ‘old peoples homes’ but are designed for anyone over the age of 50 who is able to live independently without requiring regular assistance with day-to-day activities. 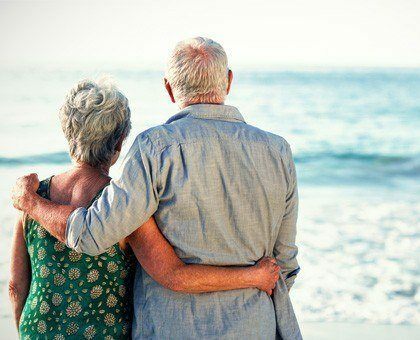 They are popular with retirees looking to travel freely or escape the burden of managing the family home, providing the freedom to live their lives as they choose whilst being part of a safe and supportive community environment. Most villages and resorts give residents access to a wonderful range of leisure activities and offer amenities such as pools, clubhouses, bowling greens and wellness centres. The communities can also offer other services designed to make residents lives easier as they age, e.g. home care services including cleaning and food delivery. Village Sales is dedicated to independent living and allows you to search and compare Retirement Villages & Lifestyle Resorts for sale in any location across Australia including Sydney, the NSW Central Coast, Newcastle, Melbourne, Brisbane, Adelaide, the Gold Coast and Sunshine Coast. The decision to make the move into a retirement village or resort can often be a difficult decision that involves lots of researching. Here are the answers to some frequently asked questions to assist you. Please visit our Resources page for further retirement living resources and frequently asked questions. Q. What is the difference between independent living and aged care? Q. Who is independent living best suited to? Independent living is suited to anyone over the age of 50 who is able to live independently without requiring regular specialist assistance with day-to-day activities. Q. What is the difference between a retirement village and over 50's resort? Our Resources page contains several useful links to further information including a link to each states Fair Trading website and a link to the Retirement Living Council website. Q. Why do people move into retirement villages or over 50's resorts? Security and Independence - Village residents enjoy a greater sense of security and independence than the general community. More than 90% of resident’s experience improved physical and emotional well-being after moving into their new homes, while 98% of newly ensconced residents indicate they are happy with their decision to move into a retirement village and would do so again, if given the choice. Q. How do I use Village Sales to search for retirement villages and resorts? You can search for vacancies in retirement villages and over 50's resorts using the search fields at the top of the Village Sales homepage. Simply enter your preferred location and any other requirements you have then select the Search button. If you are having troubles using our website or would prefer to have someone help you with your search, you can talk to Scott from Village Sales by calling (02) 8212 4188 or by emailing him at scott@villagesales.com.au. Q. What do I do once I have found a potential property? When you have located a property that potentially meet your needs, it is recommended that you visit the property directly. Whilst it is possible to gather property information online, it should not be replied upon solely for decision making. Would you prefer to talk to someone instead of using this website? You can talk to Scott from Village Sales now by calling (02) 8212 4188. Village Sales has a friendly team (which includes the fabulous Scotty) ready to help you, whether you are searching for a property or looking to list one.